On the 2nd of February 2019, ICAC organised the first ever Partner and Node ecosystem conference for the IOST network. Over 70 different teams and organisation joined, and marks the start of ongoing ecosystem conferences to discuss and decide on IOST’s decentralized governance, ecosystem reward mechanisms, and cross-collaboration of a wide range of efforts to increase network value and grow user base. ICAC ( the IOST Core Arbitration Committee) is a committee set up for overseeing, co-coordinating and management of the IOST partner and node ecosystem. 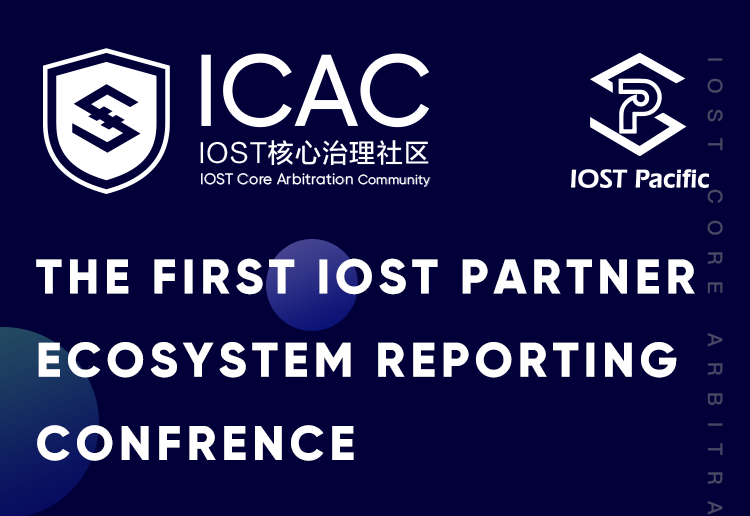 ICAC is a 3rd party organisation and fully independent from the IOST core team. They have run similar arbitration committees for other large block-chain projects including EOS and TRON and will remain fully independent and impartial on all matters. One of their main mandates is implemented decentralized governance for the IOST network. IOST is committed to ensuring decentralized governance as well as full transparency of processes. This is to ensure we achieve our mission of a truly decentralized network; one that is fair, open to all and rewards people for their contribution to the ecosystem, not just how many tokens they hold. As such, an overview of the meetings notes are below to give fully transparency of the meeting to our community and wider public.